It will take me 23 hours and 45 minutes to get to Ushuaia, the southernmost city in the world. It will take me 23 hours and 45 minutes just to get to the starting point for my trip to Antarctica. That's four flights from San Francisco and three flights back home. The journey is long, there are many legs, and I'm not in love with flying. But, that's what it takes, and that's what I'll do - all for the spirit of adventure. Friends, family, co-workers, tweeters and facebookers have all asked me lots of questions about this trip. Here are the ones that have been coming up the most. I get this question the most - which surprises me! Why not?! For me, Antarctica represents a huge adventure into the unknown. But mostly, I really want to take pictures of ice. And for some inner and mysterious reason, it has to be Antarctica. It's not as dangerous, extreme or cold as you think it is. But it certainly sounds cool! 2. Who are you going with? The short answer is: I’m going alone. But really, I’ll be with a huge group of people who will also be on the same ship as me. I’ll be matched up with a roommate in my double cabin so it won’t ever feel like I’m actually alone in the middle of nowhere. Don’t worry, Mom. 3. Where will you stay? I’ll be on a ship the whole time - The Sea Adventurer. It’s relatable if you think of it like a cruise. Cruising around the ice. Only less luxe with fewer amenities. 4. What will you do there? Go ashore, look at ice and observe the wildlife - at the bottom of the world! That’s just amazing in and of itself. I’m also kayaking, but that’s an optional add-on. 5. Will you see polar bears? Nope, Polar Bears live up North in the Arctic. Penguins are in the Antarctic. I will see lots and lots of penguins! 6. Isn't it *really* cold? Actually, not as cold as you’d think. I’ll only be visiting the Peninsula in the summertime, which means we’re talking about 20-32 degrees fahrenheit. I think that's pretty manageable. Much better than -80 as it can reach in the center of the continent in the dead of winter. 7. What ship are you on? I'm going with Quark Expeditions on the 11 Day Antarctic Explorer. Quark specializes in travel to the polar regions and have pretty good rates and itineraries. I booked through Freestyle Adventure Travel, a small company based in Ushuaia, Argentina. Sarah Scott (of Freestyle), was amazing to work with, especially through my many mind changes and endless questions. Work with her! 8. How did you decide where and when to go? Planning a trip to Antarctica is tough. I talked to people who have been there, got tips from expedition leaders, looked into many forums and asked Sarah a lot of questions. I went back and forth a lot and ultimately made the choice based on some things a mix of folks shared with me. More on the how hard it was to pick here and my decision making process here. As for when: basically, November has the most ice. December is ice and wildlife. January is less ice. February and March have the most wildlife. 9. Did you see the John Oliver Video on Antarctica? Yes, it's hilarious! The ice-eating bit is particularly damning. Am I going to cancel my trip because of it? No way! Luckily, Quark and others have strict requirements to keep Antarctica protected, which means lots of rules while I'm there. I certainly felt pretty guilty, though! 10. Can I go with you? A couple of people have asked me this, and yes you can! Talk to Sarah at Freestyle from the link above. Looks like it’s nearly sold out though, so act fast! I've been talking a lot about how difficult it was to choose this adventure. I've also been digging deeper into message boards and forums only to discover that this is a very common theme! I’ve haven’t shared that I had a lot of help in getting to my decision and have so many folks to thank (coming up in a later post). For now, here's a quick shout out to the travel agency I worked with, Freestyle Adventure Travel. While I was building the Decision Matrix, I worked Sarah Scott, who was an absolute joy. She talked me through options, places and plans, helped me with discounts, listened as I ruminated and second guessed myself over and over again, and ultimately helped pick the right trip for me! And of course, handled all the booking details. So, if you're planning a trip to explore the great white continent, haven't decided where to start or need a little help, reach out to Sarah! Full disclosure: I get nothing at all for posting about Sarah or Freestyle. I just had such a great experience with her and wanted to share. Photo from Freestyle's Facebook Page. I know what I’m missing. Part of me wishes I just picked a trip without the extensive research. Without picking everything apart. Without being the obsessive over-planner that I am. Because now I’m hyper aware of all that I’m NOT doing. Instead of focusing exclusively on what I am doing. I started thinking about actually going to Antarctica while laying in bed late at night. The idea kept whizzing by, charged with excitement, preventing me from sleep. What if I just go? What if I just did it? And with that, I decided to just go. To just do it. All the research began the next morning and all of my free time was dedicated to figuring this trip out. That was 20 days ago. Today I'm proud and excited and thrilled and [insert every other word that is synonymous with the words I just said] to report that the choice has been made! The trigger has been pulled! The trip has been booked! It’s all happening December 4th: The Antarctic Explorer aboard the Sea Adventurer (which actually was the highest score on The Decision Matrix in case you’re counting). I've crunched the numbers and The Decision Matrix has surfaced one very clear winner. Of course, my heart is telling me not to rule out Option 2 because visiting the Weddell Sea is super compelling. So, as expected, quantified-decision-making can never be the only way. Visits all the other spots for gorgeous ice on the West Side of the Peninsula. It's the "classic" version. 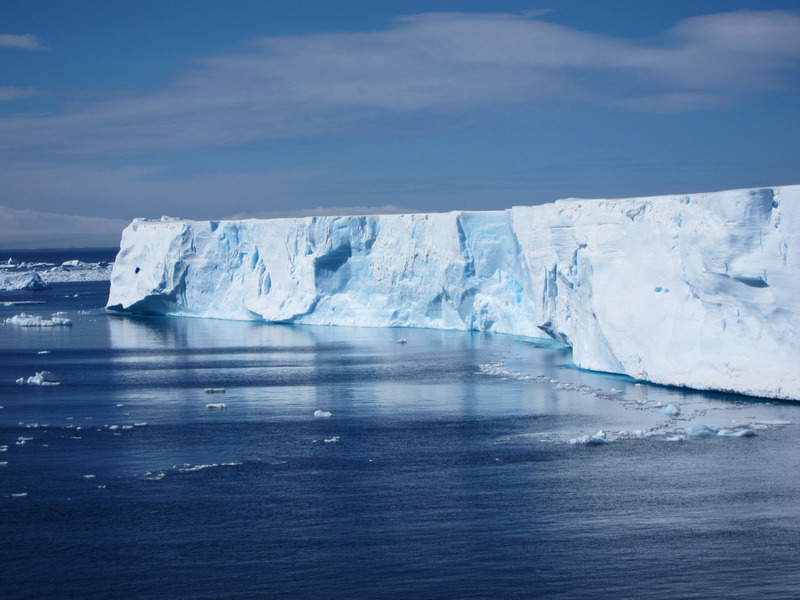 Visits the East Side of the Peninsula and the Weddell Sea — Home of huge, tabular icebergs. First, I broke down all of the micro components of the trip (things like ship size, comfort, cost, ideal dates, duration, etc.). Then, threw in any bonus items that might make an option sweeter (things like extra nights in Ushuaia, internet access, etc.) - they all get listed on the sheet. Each time I get a plan from an operator, I assign a ranking of 0-3 for each of the line items. Add 'em up and out comes a total score. The highest score is the winning plan! Maybe, this takes some of the romance out of it all, but since they’re all similar anyway, it might not be so bad to make this huge and awesome decision based on a numerical value. The Decision Matrix now available for download! Ladies and Gentleman - You can snorkel there. One of the tour companies I’ve been eyeing offers snorkeling. Snorkeling in Antarctica! Maybe you know this, maybe you don’t, but I love being underwater. I love taking pictures underwater. I am obsessed with the idea of being underwater taking pictures in Antarctica. Adding it to the list.